It isn’t uncommon for SK Telecom T1 to have a rough game, especially this season, but it is rare for Lee “Faker” Sang-hyeok to be the cause. During SKT’s demoralizing defeat to the underdogs bbq OLIVERS today, Faker had a rough game. He died, and he died a lot. In one very strange decision, he dove into bbq’s base during the second game, even going so far as the enemy Nexus to chase down his target. It’s hard to imagine that Faker thought he’d survive diving that far into the enemy base, but maybe he thought he’d at least get a kill after he dedicated himself to the cause. As goofy as this play looked, there’s also no way he could have expected Tristana to land three critical strikes in a row, which lowered the already short time window he had to land his combo. 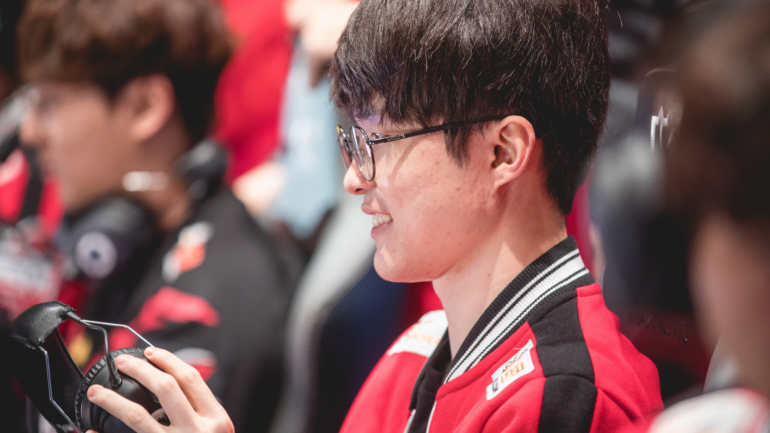 Before we chant, “Report Faker for int” to the heavens, let’s keep in mind that he’s been SKT’s redeeming grace for almost the entire split so far. His other lanes have been falling short, which forced Faker to pick up some major slack. It was bound to get to him after a while, so let’s not judge the demon king just yet. After SKT’s loss today, their playoff hopes are on thin ice.